The initial television run of the 1966 Batman series lasted three seasons and yielded a whopping 120 episodes of classic, campy fun. 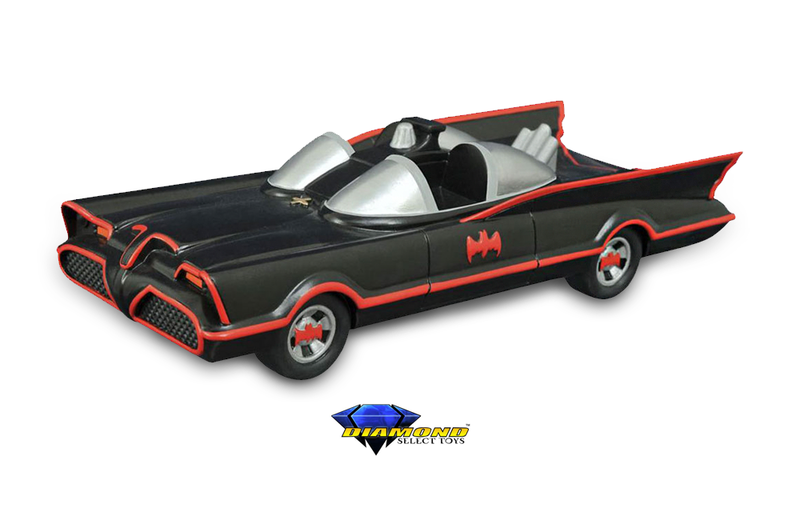 Diamond Select Toys is paying homage to one of the dynamic duo’s primary forms of transportation with the release of a new Batman ’66 vinyl bank. Measuring 9-inches long, the Batmobile is built for saving your hard-earned Batcoins and includes a coin slot nestled between the two seats and an access door in the base. The bank retails for $22.99 USD and is available now online as well as at comic shops and specialty stores.